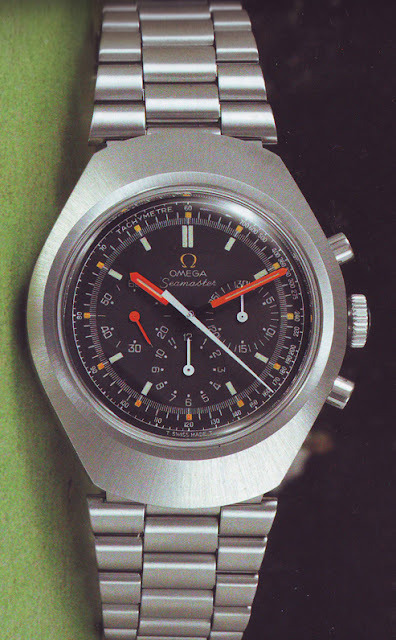 Omega Constellation Collectors: The Real Omega Seamaster 145.024 "Jedi" Please Stand Up! 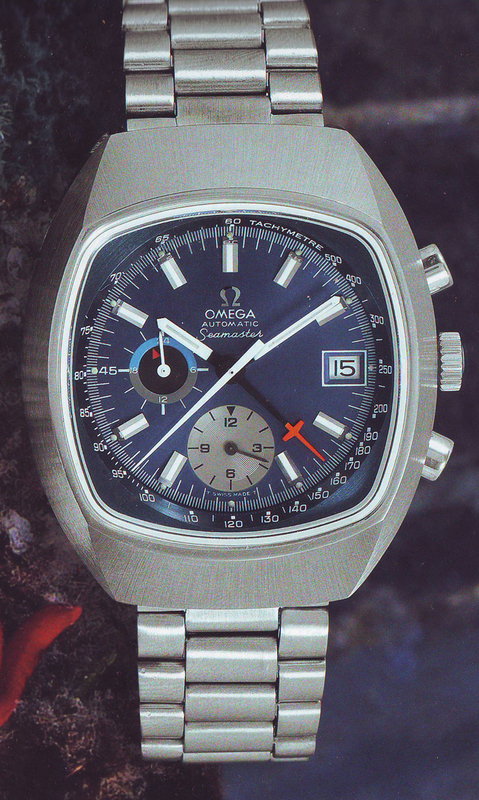 The Real Omega Seamaster 145.024 "Jedi" Please Stand Up! Nice but not a real "Jedi"
Over the past month I have received a couple of emails from budding collectors seeking my assistance in appraising what have been described on eBay as Seamaster “Jedi” models. On both occasions the watches were not Jedi Seamasters, but models 176.005, common Seamaster chronographs with an attractive and chunky inclined case that housed the automatic chronograph calibre 1040. The real “Jedi” model 145.024s were produced for a very short period of time in late 1971 and then in limited edition in 1973 as commemorative watches for the inaugural World Football Day held in Barcelona. The Barcelona models contain a commemorative stamp that frames the hippocampus on the case back. So, we are talking about an uncommon, or because of attrition a relatively rare, model that infrequently appears in global markets, two of which sold at the Omegamania auction in 2007 for around four and five thousand US dollars respectively. Featuring the hand-wind calibre 861, the “Jedi” received its nickname as a result of the late Chuck Maddox’s interest in sci-fi movies and his naming the hard metal black coated Seamaster 145.023 the “Darth Vader”. 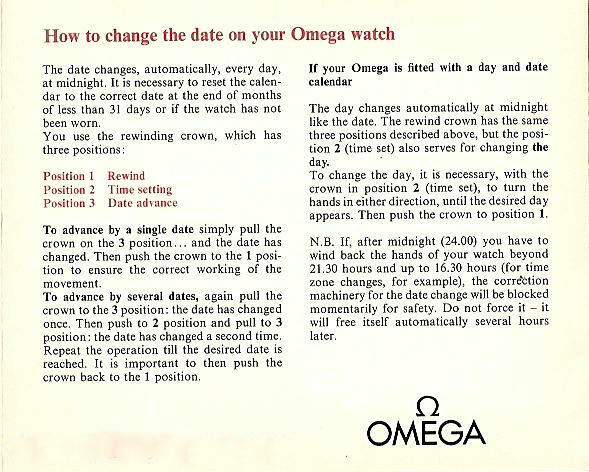 While it is not known definitively if Chuck continued with this theme and coined the terms “Jedi” and “Anakin Skywalker” for other Seamaster calibre 861 chronographs, what is known is that he embraced and used the terms at least as a very early adopter, as the screen shot below from his website shows. The confusion about “Jedi” arose in 2007 when those who compiled the Omegamania catalogue mistakenly referred to the 176.005 as “the so-called Jedi” in several descriptions of this model. Consequently, values and descriptions were jumbled, leading some dealers and on-line sellers to assume that the 176.005 was a rarer model. They then attempted to extract maximum prices for what were a fairly common series. On the Internet, one glaring error stated with confidence can beget many, and we have now reached the point where common Seamaster 176.005’s are almost inevitably mis-described as “Jedis”. Real Jedis were offered both on a leather strap and with bracelet 1116 with 148 ends, and these days a Jedi with a bracelet would be considered the more collectible. They came in two dial styles, each with two colour stories. The first style featured raised markers complimented by rhodium plated, skeletonised stick hands with tritium inserts on the ends. This dial style is believed to be the least common. The second dial style featured tritium markers with skeletonised rouge orange hands with tritium inserts. Both styles appear below, the first of which was Chuck Maddox's watch. It might be worth noting that since Star Wars did not reach film screens till 1977 - all of the above nicknames were added after this date! Yes indeed. Chuck Maddox was a great Star Wars fan and these names were all coined in the nineties. Thanks for raising the point. This is great coverage Desmond of the story behind the "true" Jedi. I was lucky to acquire one sans a movement but otherwise complete (including a fine bracelet with end pieces as you describe) for very little money 3 years back. It sits in the watch box awaiting one of those serendipitous moments where I will see an c861 for sale. It is a very nice Chrono and a little unusual as a pilot (except for the massive Flightmaster - which I also have but never grew to love). I hope to pass to one of my now adult sons when I sort its missing components, who have slowly come around to the "cool" that having a vintage, mechanical timepiece on your wrist says about them, now they are in corporate environments and recognise other blokes look at this stuff! Good luck Richard with the sourcing of an 861: they come up every now and then. Maybe Watchco Australia could help? 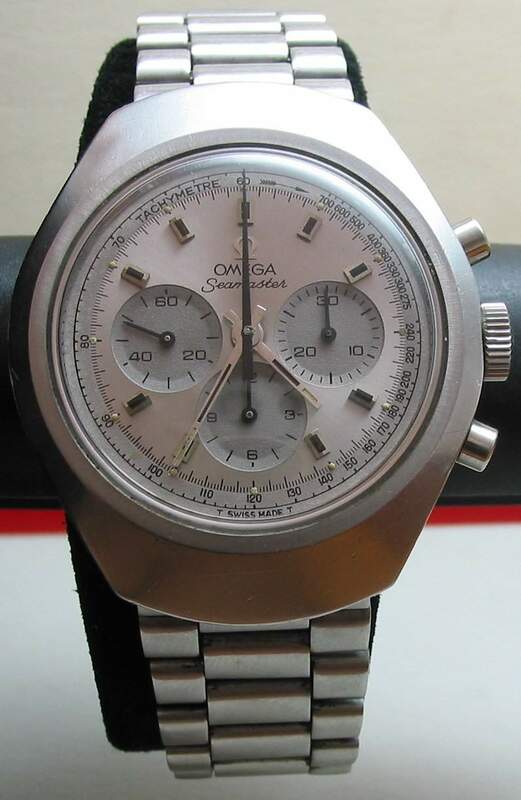 I have acquired one example of this Seamaster with grey dial back in 1999 in a shop in Athens, Greece. It was sitting there for 30 years before I grabbed it. It cost me appr. 300 Euro, not cheap back then but I knew the model was rare and above all I knew it came from an authorized dealer. The shop in the meantime has closed. Excellent find. Occasionally, genuine, and not purported, NOS watches do surface, usually when an owner retires or passes.